Cabbage (Brassica oleracea) is a vegetable belonging to the Brassica family or cruciferous family, which also includes broccoli, kale, cauliflower and brussels sprouts. This vegetable can grow in any type of soil but grows especially well in fertile soil - the fertile soil, the faster the cabbage growing. Cabbage is one of the oldest vegetables and is believed to have originated in Asia and the Mediterranean. Currently, the cabbage is probably one of the most widely cultivated plants in the world both in the tropics and semi-tropics. There are about 400 varieties of cabbage in the world that vary in shape (from round to cone-shaped), size (4-8 inches) and colors (green, white, red, and purple leaves). The most common is a light green cabbage. Cabbage is an economical and versatile vegetable that are easily found in any supermarket and give you great nutritional value. Vegetables can be eaten raw or cooked, but it is often added to soups or stews. In Germany, made pickled cabbage and serve as Sauerkraut. Besides being used in various dishes, Cabbage also provides many health benefits. In fact, sprouts are rich in phytonutrients and other vitamins such as vitamin A, C and K. It is an all natural antioxidants that help prevent cancer and heart disease induces free radicals. Cabbage is also a good source of dietary fiber, providing nearly 15 percent of the recommended daily intake. Fiber is very important to ensure the body's digestive system functioning at its optimum level. Cabbage contains a cancer-fighting properties, including lupeol, sinigrin, diindolylmethane (DIM), indole-3-carbinol (I3C) and sulforaphane, which may help trigger the body's defense enzymes and inhibits tumor growth. I3C and sulforaphane compounds in the cabbage has been shown to enhance the anti-cancer effects of the chemotherapy drug Taxol. One study of Chinese women found that consumption of cruciferous vegetables (such as cabbage, broccoli, cauliflower and Brussels sprouts) was associated with a reduced risk of breast cancer significantly. 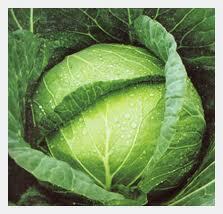 Cabbage is one of the best natural remedies for inflammation of the stomach (called gastric ulcers). A study at Stanford University School of Medicine found that fresh cabbage juice is very effective in treating peptic ulcers. This is because the high content of glutamine in it. Cabbage is a good source of the amino acid glutamine and is believed to help those who suffer from any type of inflammation. If you want to lose weight, trying to get a recommendation from me. Because of the survey, many have to lose weight with this NATURAL 2-3 kg / week with no side effects. How so? To find out more please click here. Due to its high in vitamin C, cabbage helps strengthen the immune system and help the body fight against free radicals. Cabbage is also high in beta carotene which helps protect against age-related macular degeneration and prevent cataracts. Cabbage diet is an option for those who want to lose weight. One cup of cooked cabbage contains only 33 calories. That's why people who diet with cabbage soup can eat as much cabbage soup without gaining weight, and even improve health. Recent studies show that eating red cabbage can reduce the risk of Alzheimer's disease. Red cabbage contains vitamin C and anthocyanins, antioxidants to help reduce plaque in the brain, which may help prevent Alzheimer's disease.